It is shown in this video how to implement data logging of two input signals with the MSD200 Datenlogger from akYtec. The MSD200 receives a temperature signal from an RTD through the MV110-8A Input Module that is connected to the logger over the RS485 interface. Another signal comes directly from a transmitter to one of four 4-20 mA inputs of the data logger. To implement this, the data logger must be properly configured. 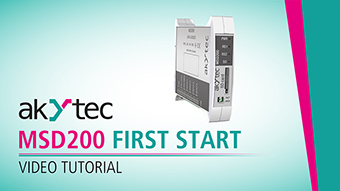 This video will help you with configuring the MSD200.